PT Adhi Persada Properti – APP or later known as Adhi Persada Properti is a rapid growing national property developer in Indonesia. PT Adhi Persada Properti operates primarily as a high rise building and property developer. Its projects including apartments, condotels and ofﬁce towers. Adhi Persada Properti is a directly-owned subsidiary company of state-owned construction giant PT Adhi Karya (Persero) Tbk (ADHI Group). 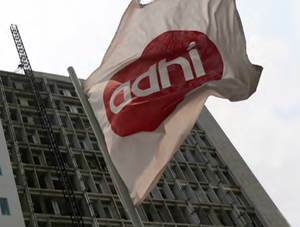 As of December 2016, ADHI Group controls 99.7% shares in Adhi Persada Properti. Other 0.3% remaining shares in Adhi Persada Properti is owned by Koperasi Jasa ADHI Sejahtera (KOJAS). PT Adhi Persada Properti was formed in 2002 and initially registered as PT Adhi Realty. The name of PT Adhi Persada Properti was officially launched in 2012. PT Adhi Persada Properti is based in Bekasi West Java and its head office is registered at Grand Dhika City Building GF Floor – Jl HM Joyomartono Km 16 Exit Toll Bekasi Timur Bekasi 17113. Minimum 2 years of experience in the field of Accounting. Able to make tax reports. Preferably domiciled in Depok, Jakarta and its surrounding areas. Familiar in handling customer complaint. Familiar with MS Excel formulas.